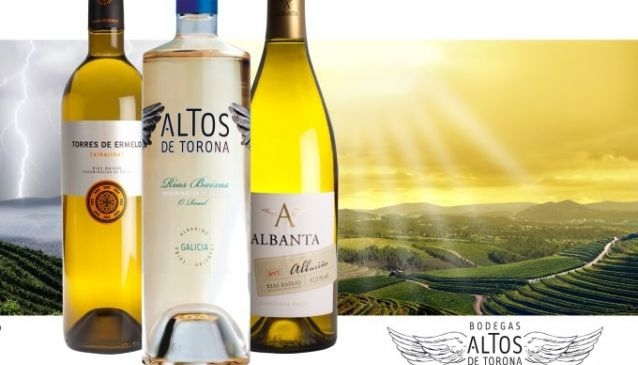 Bodegas Altos de Torona is the result of four centuries of labour to perfect the recipe kept safe by the monks of Tomiño. This is a winery that prodcues great Albariño wine in the O Rosal subzone - Tomiño the Denomination of Origin Rias Baixas. The vineyards are located in Vilachan. Although close to the sea and the River Minho, its location in the hillside means it's not affected neither by the mists and dampness of the valley, or the existing cold summits. Its southerly orientation ensures good insulation, which contributes to a perfect ripening of the grapes. The mild climate all year round, but especially in summer make the grapes ripen slowly, conserving all important varietal aromas and acidity necessary for the production of fresh and fruity wines. The granitic, sandy and very permeable soil allows for very fine wines, capable of highlighting the most of the grape varieties.